1. General. Unless otherwise specifically agreed to in writing and signed by an authorized employee of Pulse Consultants, LLC, Pulse Consultants International, Ltd., or Pulse Worldwide, Ltd. (collectively “PULSE”)‚ the following terms and conditions of sale (“Agreement”) apply to all sales of products from PULSE to Buyer. Any different or additional terms and conditions proposed by Buyer in its purchase order‚ or otherwise‚ are objected to by PULSE. Buyer’s assent to this Agreement is conclusively presumed from Buyer’s failure to reasonably object in writing and from Buyer’s acceptance of all or part of the products ordered. This Agreement represents the entire agreement of the parties and all proposals‚ negotiations‚ representations or agreements made or entered into prior to or contemporaneously with this Agreement, whether verbal or written, are cancelled and superseded by this Agreement. The prices of the product purchased (the “Equipment”) in the listing are F.O.B. PULSE, Mason, Ohio. All transportation, license fees, custom duties and other such charges shall be paid by Buyer and added to the total purchase price shown in the listing UNLESS NOTED OTHERWISE. If applicable, there shall also be added to the prices shown on the listing the amount of any applicable sales, use or other taxes, however designated, levied or based on such prices or on this Agreement or the sale or use of the Equipment, including state and local privilege or excise taxes based upon gross revenue, and any taxes or amounts in lieu thereof. Any personal property taxes assessable on the Equipment after delivery to the carrier shall be borne by the Buyer. Terms are subject to change without notice. In the event that any item(s) are for any reason out of stock, discontinued, or not available for delivery, PULSE’s liability shall be limited to a house credit or refund of any monies Buyer may have paid for such items that are not deliverable. If the User’s Manual is not included in the purchase price of the Equipment, it is the obligation of the end user of the Equipment to obtain the User’s Manual and other necessary operating documentation directly from the equipment manufacturer. 3. Delivery, Risk of Loss, Insurance. All deliveries shall be F.O.B. 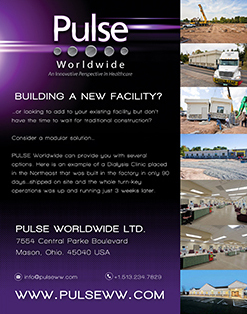 PULSE unless stated otherwise in the invoice. PULSE will not be responsible for any losses in transit for any reason. Risk of loss or damage to the Equipment shall pass to Buyer upon delivery of the Equipment to a common carrier at PULSE’s shipment facility, or, if drop shipped, the manufacturer’s shipment facility. PULSE will insure to full value the Equipment shipped or declare full value thereof to the transportation company at the time of the shipment. Buyer shall provide and maintain at its sole expense from the time of such delivery of the Equipment until payment by Buyer of the full amount due hereunder, for the Equipment insurance against loss, theft, damage or destruction of the Equipment for its full replacement value, with loss payable to PULSE or its assignee. Confiscation or destruction of, or damage to, the Equipment following shipment shall not in any way affect the liability of Buyer to pay the purchase price. Buyer shall inspect the Equipment upon receipt and notify PULSE within 24 hours following delivery when there is evidence of shipping damage. Buyer’s failure to notify PULSE of shipping damage within 24 hours of delivery shall constitute a waiver by Buyer of any such claim. Shipping dates are given at the best of PULSE’s knowledge based upon conditions existing at the time the order is placed and information furnished by Buyer. PULSE will‚ in good faith‚ endeavor to ship by the estimated shipping date but shall not be responsible for any delay or any damage arising from its failure to ship by the estimated shipping date. All demo, used and refurbished products are subject to availability. All refurbished items are subject to prior sale. Unless otherwise stated in written form, payment by the buyer is due thirty (30) days from the shipping date appearing on the PULSE invoice. Any amount payable hereunder, which remains unpaid after the due date shall be subject to a late charge of 1.5% per month assessed from the due date until such amount is paid. Payment may be made by check, irrevocable Letter of Credit or wire transfers. Prices are in U.S. dollars and are subject to change without notice. Buyer is liable for all collection fees. 5. Security Interest and Title. PULSE retains, until Buyer performs all of its obligations hereunder, all security interest and right of title in said Equipment. Buyer agrees, upon demand by PULSE, to promptly execute any security agreement, financing statement, application, registration or other documents necessary and to take any other action deemed necessary or desirable by PULSE in order to evidence or perfect PULSE’s security interest. Buyer hereby appoints PULSE as its attorney-in-fact to prepare, sign and file or record for the Buyer, in Buyer’s name, any such documents. Buyer agrees to keep the Equipment in good order and repair until the full purchase price has been paid. Buyer shall not attempt to transfer an interest in the Equipment until said purchase price has been paid in full. Fulfillment of this order is contingent upon the availability of materials. PULSE shall not be liable for any delay in delivery or for non-delivery in whole or in part caused by the occurrence of any contingency beyond the control of either the PULSE or suppliers to the PULSE (“Force Majeure”), including, but not limited to, war, sabotage, acts of civil disobedience, failure or delay in transportation, act of any government or agency for subdivision thereof, judicial action, labor dispute, fire, accident, explosion, quarantine, restrictions, storms, flood, earthquake, or acts of God, shortage of labor, fuel, raw materials, or machinery or technical failure where PULSE has exercised ordinary care in the prevention thereof. If any contingency occurs, allocation of product and delivery thereof will be at the discretion of PULSE. 7. Risk of Loss and Insurance. Risk of loss or damage to the Equipment shall pass to Buyer upon delivery of the Equipment to a common carrier at PULSE’s shipment facility, or, if drop shipped, the manufacturer’s shipment facility. PULSE will insure to full value the Equipment shipped or declare full value thereof to the transportation company at the time of the shipment. Buyer shall provide and maintain at its sole expense from the time of such delivery of the Equipment until payment by Buyer of the full amount due hereunder, for the Equipment insurance against loss, theft, damage or destruction of the Equipment for its full replacement value, with loss payable to PULSE or its assignee. Confiscation or destruction of, or damage to, the Equipment following shipment shall not in any way affect the liability of Buyer to pay the purchase price. Buyer shall inspect the Equipment upon receipt and notify PULSE within 24 hours following delivery when there is evidence of shipping damage. Buyer’s failure to notify PULSE of shipping damage within 24 hours of delivery shall constitute a waiver by Buyer of any such claim. Unless otherwise stated in written form no warranty shall be provided except for as stated herein. Length of warranty varies from product to product. Typically used equipment sold “As-Is” has no warranty. Most refurbished equipment is warranted for ninety (90) days measured from the date of shipment. New equipment shall be limited solely to the manufacturer’s warranty. Please look at your sales order, quote and/or ask your PULSE Representative for specific warranty coverage. During such period PULSE will at no charge to the customer, either repair or replace (at PULSE’s sole discretion) any part of the equipment found by PULSE to be defective in material or workmanship. Please do not have your equipment repaired by a third party without prior written authorization. Doing so may void your original warranty. All service providers will be contracted by PULSE directly. PULSE will not be responsible for the costs of any unauthorized third-party repair costs. Buyers must comply will all appropriate FDA guidelines regarding sale and use of medical equipment in the United States. b. Consumables and disposables are not covered under any warranty. Warranty is provided by the manufacturer and customer is subject to the OEM terms and conditions. 9. Returns and Cancellations Policy. All returns are subject to the prior authorization of PULSE and at PULSE’S sole discretion. Before any item is returned, a PULSE representative must issue an RMA (return merchandise authorization) which needs to be displayed on the outside of the box. Customer must notify a PULSE representative of any damaged product within three business days of receiving the item. No returns will be accepted without an RMA. All returned/cancelled items are subject to a 25% restocking fee. Your approved RMA number is valid for 10 business days. All cancellations and reschedules require a minimum of thirty (30) days’ notice. PULSE shall not be liable for any defects, non-performance, or performance of equipment not within the manufacturer’s specifications or tolerances that result from the Buyer’s failure to use and maintain the equipment in accordance with the manufacturer’s recommendations, guidelines or due to normal wear. 10. Governing law, Venue, Limitation of actions. This Agreement is performed in Hamilton County‚ Ohio and shall be governed by laws of the State of Ohio without regard for its conflict of laws rules and specifically excludes the U.N. Convention on Contracts for the International Sale of Goods. No action for breach of this Agreement or any covenant or warranty arising under this Agreement‚ shall be brought more than one year after the cause of action has occurred. Buyer agrees that any legal action or proceeding by Buyer against PULSE with respect to this Agreement will be brought in a court of competent jurisdiction located in Hamilton County‚ Ohio‚ USA. PULSE will not be liable for any direct, indirect, special, incidental or consequential damages whatsoever, whether grounded in tort (including negligence), strict liability or contract. Buyer shall pay all costs and expenses relating to enforcement or preservation of PULSE’S rights under this Agreement, including but not limited to reasonable attorney’s fees. Buyer shall indemnify and hold PULSE harmless (including, without limitation, PULSE’s reasonable attorney fees and costs) from any claim arising out of or relating to (a) damage, injury or claim arising from any fault or neglect of Buyer, Buyer’s Buyers, agents and licensees, or any person not a party hereto, (b) damage, claim, or liability arising by reason of Buyer’s breach of any of its obligations as set forth in the Agreement, or (c) to the extent that Equipment is manufactured according to Buyer’s specifications and/or drawings, any charge that said Equipment infringes any patent or other proprietary right of any other person. If any provision(s) of this Agreement shall be held to be invalid, illegal or unenforceable, the validity, legality, and enforceability of the remaining provisions shall not in any way be affected or impaired thereby. This Agreement may not be assigned, in whole or in part, without the written consent of the non-assigning party. This Agreement (which collectively consists of the Agreement and any addendums thereto, these Terms and Conditions, and the Equipment Condition statement) constitutes the entire understanding between the parties and supersedes all proposals, oral or written, and all other communications between the parties relating to the subject matter. Any modification to this Agreement must be in writing and signed by all parties to this Agreement. This Agreement and the Terms and Conditions herein will govern Buyer’s order. By signing this Agreement, Buyer expressly agrees to be bound by the terms and conditions hereof. PULSE’s acceptance of Buyer’s order is expressly made conditional of Buyer’s assent to the terms of this Agreement. Any acknowledgment, which in any manner differs from or is in addition to the provision(s) of this Agreement, other than approved addendums thereto, shall be of no force or effect.